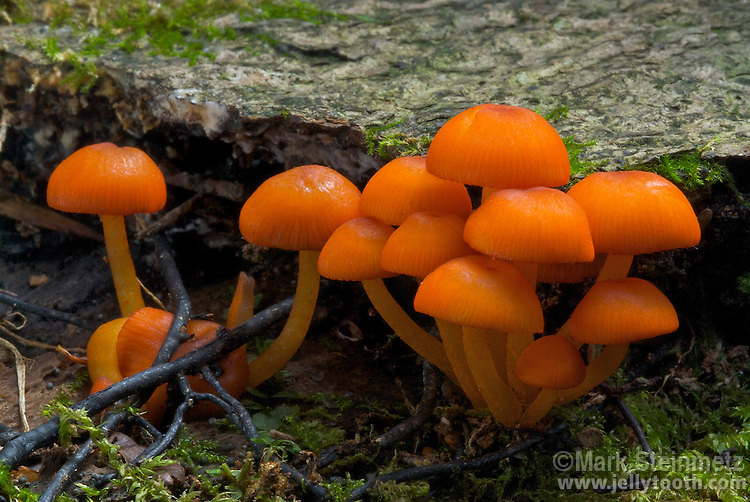 Orange Mycena (Mycena leaiana), growing from a dead hardwood. This striking and colorful mushroom is widespread and fairly common, epecially in Eastern US forests. Monongahela National Forest, West Virginia, USA.